The EASHOOK OPEN carabiner is designed for use at the ends of a double lanyard or work positioning lanyard. The gated connection point allows for direct attachment of the carabiner to the lanyards. If the lanyard is damaged, the connector can thus be reused. 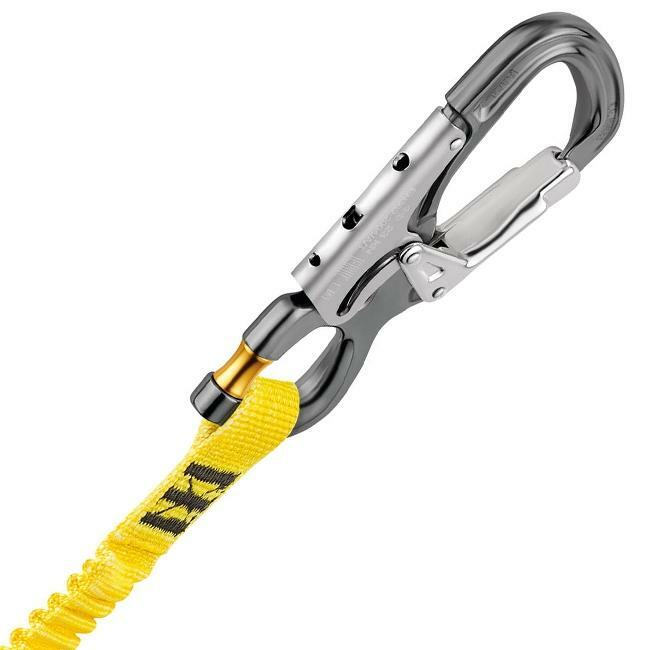 The excellent grip and automatic locking system facilitate handling when passing intermediate anchors.